All Bare Naked Botanicals' carrier oils (vegetable oils) are cold pressed, and food grade, unless otherwise indicated in the description. We do not believe in the use of solvent extracted, nor hydrogenated oils, as these products may contain residual solvent or other unidentifiable components, which we believe jeopardize their therapeutic value. Butters are carefully handled and gently heated to maintain many of their original benefits. This list is not exhaustive as that would be exhausting! We've added and described more of the unique oils and butters we use. If you have questions on other ingredients, give us a shout. We'd love to answer your questions. Kokum Butter-is prized for its essential fatty acid content. One of the most balanced of all the botanicals, Kokum Butter is one of the hardest of the natural butters, with a complex of oleic, palmitic, and stearic acid content and is well known for it's emollient, and regenerative, properties making it one of the best choices for inflamed and damaged skin preparations. Tucuma Butter-pressed from the fruit (seeds) of the Astrocaryum tucuma palm tree. Another specialty from the Rain Forest, Tucuma Butter is prized for its rich content of; polyphenols to combat free radicals in the tissues, and fatty acids to protect and moisturize the skin. Tucuma Butter is very similar, in chemical composition to another of the Brazilian butters, Murumuru Butter. It's a butter that performs more like the actives, delivering true healing, and restructuring benefits, to the skin as it improves the skin's moisture barrier and offers true hydration for improved elasticity and suppleness. High levels of Lauric, Myristic, and Oleic, Fatty Acids offer excellent skin feel and moisture binding activity, while high levels of Carotenoids offer anti-oxidant activity and protection. Shea Nilotica-A FAVORITE of ours because it's creamy goodness is way less greasy than it's counterpart. It's a premium Fair Trade shea butter produced from the fruit of the Vitellaria Nilotica sub species of the Karite tree which grows across Northern Uganda. Softer in texture with a very mild aroma and a light yellow color, Shea Nilotica is one of the finest shea butters we've ever had the pleasure to use! Shea Nilotica has a significantly higher content of olein, a glyceride of oleic acid, making it softer and creamier than its West African Shea Butter counterpart. It is high in unsaponifiables, antioxidants and cinneamic acid, a natural sunscreen. Readily absorbed into the skin and hair, it will delight you with its buttery smoothness! Lemon Butter-derived from Lemon Peel oil and Lemon Peel Wax, specifically from California and is obtained by cold pressing of the Lemon Peel. 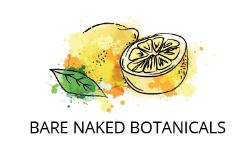 The natural oil contains Limonene, which is a very effective free radical scavenger and it adds a wonderfully fresh and uplifting fragrance to our lemon products. Monoi Oil: This delicitaly fragranced Tahitian Oil isn't just any coconut oil or suntan-lotion-scented imposter that's sending us into such raptures—this is real monoï: a swoon-inducingly fragrant concoction made by steeping tiare flowers, a variety of gardenia indigenous to French Polynesia, in locally sourced coconut oil. The flowers contain high levels of methyl salicylate, known for its purifying and anti-inflammatory qualities and during the typically 15-day maceration, those active properties are transferred to the oil. While any coconut oil is an effective moisturizer for skin and frazzled strands—it protects the skin's lipid barrier and easily penetrates hair follicles, preventing protein and water loss—the coral-island-grown coconuts used for monoï have superpowers: They contain additional protein and produce a silkier, less greasy oil than those grown elsewhere. It's a happy alchemy. Caprylic/capric triglyceride-Also known as liquid Coconut Oil. The benefits of caprylic/capric triglyceride include the fact that it is not greasy at all, and has a very light texture. It is also rapidly absorbing, and is highly skin-compatible, due to the fact that it will not aggravate sensitive skin types. It also does not leave behind visible oil remnants on the skin. Since it has an extended shelf life, it does not necessitate special storage or handling practices, beyond being stored in a dry, cool location. Capric/caprylic triglyceride is derived from the fruit coconut. Caprylic Capric Triglycerides are produced by the esterification of glycerol (plant sugars) with mixtures of fatty acids from coconut or palm kernel oils. Avocado Oil: Collagen is paramount in ensuring that your skin stays firm, smooth and rejuvenated. When used topically on the skin, the oil naturally triggers the production of collagen by the skin. In addition, it shields the skins against age-related wrinkles, fine lines and other aging signs. An added bonus is that it doesn't clog the pores! Due to the chemical composition of avocado oil, it has a remarkable capability of retaining water in the skin. Apart from that it encourages supple and soft tissue. With that said, it is not hard to figure out why individuals with dry skin benefit through use of cosmetics or lotions that are formulated using avocado oil. One of the most important avocado benefits for skin is its ability to soothe dry and itchy skin. The oil is easily absorbed by the skin and can act as an excellent moisturizer or a skin care agent. Grapeseed Oil: If you have oily skin -- even if you don't have acne -- you're probably as averse to all oils, but Grapeseed Oil (derived from pressing of grape seeds) can actually help regulate your natural oil production. Plus, it's packed with antioxidants, including skin-brightening vitamin C. In addition, it's lightweight, absorbs easily into the skin and does not clog pores.